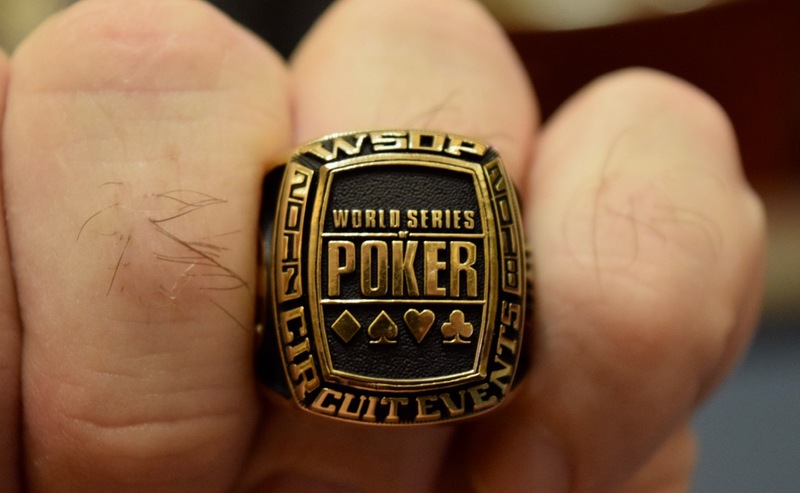 #TVWSOPCircuit - Day 1E - $300,000 Guaranteed @WSOP Circuit Event 1 has 506 players as the filed takes its first 15-minute break of the day. Antes kick in when players return, with registration and a single re-entry per player available until the start of Level 9 at about 3:30pm. The overall field is rapidly approaching 1,400 entries and the prize pool is now more than $400,000.